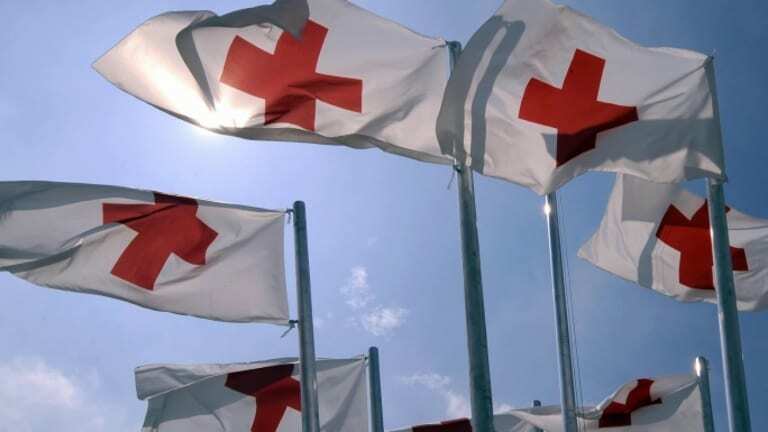 On its 150th birthday, get the facts on the International Red Cross. 1. A gruesome battle sparked the idea for the Red Cross. In 1859 Swiss entrepreneur Jean Henri Dunant went in search of French Emperor Napoleon III, whom he hoped would help with a business venture in French-controlled Algeria. Dunant never did gain a meeting with the emperor. But while in present-day Italy he witnessed the Battle of Solferino, in which some 40,000 troops were killed or wounded in a single day. Since neither army had much of a medical corps, Dunant organized a group of volunteers to bring food and water to the wounded, to treat their injuries and to write letters to their families. Then, in 1862, he published a book titled “A Memory of Solferino,” in which he described viewing amputations without anesthetic and groaning, fly-covered men who had been left for dead. 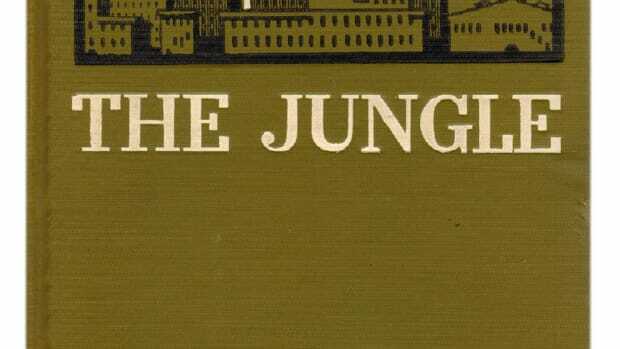 “Some, who had gaping wounds already beginning to show infection…begged to be put out of their misery, and writhed with faces distorted in the grip of the death struggle,” Dunant wrote. Others were “disfigured…their limbs stiffened, their bodies blotched with ghastly spots, their hands clawing at the ground, their eyes staring wildly.” At the end of his book, Dunant suggested “permanent societies of volunteers who in time of war would give help to the wounded without regard for their nationality.” This vision for the Red Cross, championed by Gustave Moynier of the Geneva Public Welfare Society, became a reality the following year. 2. Not everyone believed the Red Cross was a good idea. In his book, Dunant praised British nurse Florence Nightingale for her “passionate devotion to suffering humanity” and for giving up “the pleasures of opulence in order to devote herself to doing good.” But Nightingale, who had made a name for herself in the Crimean War, did not originally think highly of the Red Cross. “Such a society,” she told Dunant, “would take upon itself duties which ought to be performed by the government of each country and so would relieve them of responsibilities which really belong to them…and render war more easy.” Nightingale was harsher in a private letter to a colleague, calling the Red Cross’ “views most absurd—just such as would originate in a little state like Geneva, which never can see war.” She later softened her stance and even joined the British Red Cross ladies’ committee. Nonetheless, critics of the organization remained, such as a journalist who declared during World War I that “to heal men’s wounds and send them back to the front as soon as possible is to prolong war indefinitely.” A generation later, in arguably its most controversial decision, the International Red Cross declined to publicly condemn the Holocaust despite knowing of the atrocities. 3. Clara Barton founded the American Red Cross. A one-time clerk in the U.S. Patent Office, Clara Barton spent the American Civil War nursing wounded troops and distributing supplies at the front. She also helped locate thousands of missing men, earning the nickname “Angel of the Battlefield.” While visiting Europe a few years after the war’s conclusion, Barton learned about the Red Cross movement and the related Geneva Convention, which regulated the treatment of wounded soldiers and was later expanded to include prisoners of war and civilians. Upon returning home, she began lobbying the U.S. government to ratify the convention, which it did in 1882. Meanwhile, in May 1881, Barton founded the American Red Cross. She would lead the organization for over two decades, finally resigning at the age of 83. 4. 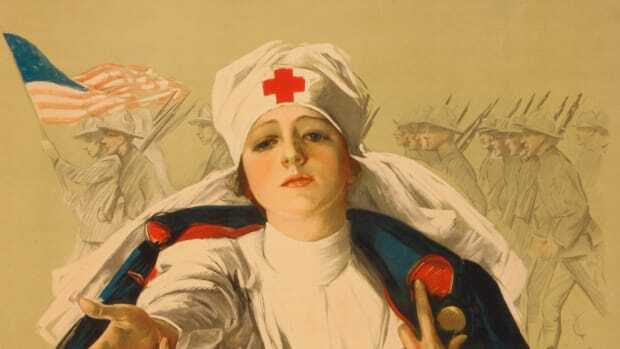 The American Red Cross expanded exponentially during World War I. Under Barton, the American Red Cross devoted itself largely to disaster relief, responding to floods, forest fires, tornadoes, a yellow fever epidemic and a hurricane that killed at least 6,000 people in Galveston, Texas. 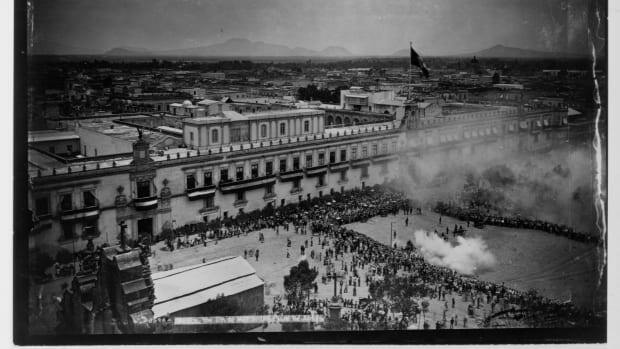 At the time of her resignation, the organization had only a few thousand members. It soon grew rapidly, however, in part by cultivating a close relationship with the U.S. government and by depicting membership as a patriotic duty. By the end of World War I, over 20 million adults and 11 million children had joined. It was considered so essential to the war effort, in fact, that a Wisconsin public official was convicted under the Espionage Act for calling it, among other things, “nothing but a bunch of grafters.” Wartime services and disaster relief remain part of the present-day mission of the American Red Cross, along with health and safety training, support for military families and blood collection. 5. A red cross is not the only approved symbol of the organization. Just before the Ottoman Empire went to war with Russia in 1877, it approved a national Red Cross society with one caveat. Instead of a cross, which they associated with Christianity and medieval crusaders, Ottoman medical personnel identified themselves and their equipment with a crescent. Russia agreed to recognize that emblem during the conflict; however, its legal status remained in limbo until 1929, when it was incorporated into the Geneva Conventions. Today, the national societies of over 30 Islamic nations use the red crescent. Israel’s national first-aid society, Magen David Adom, likewise tried for decades to get approval for a red Star of David on a white background. Finally, in 2005, a compromise was reached in which the Geneva Conventions recognized the red crystal (essentially a diamond). Magen David Adom still uses the Star of David domestically but has adopted the red crystal, sometimes with the Star of David inside it, for international operations. A fourth symbol, the red lion and sun, was utilized in Iran prior to the 1979 Iranian Revolution. 6. The Red Cross has won more Nobel Peace Prizes than anyone. Dunant played little role with the Red Cross after a court held him primarily responsible for the 1867 collapse of the bank Crédit Genevois, where he served as a director. Nonetheless, he secured the first Nobel Peace Prize in 1901 along with leading French pacifist Frédéric Passy. The International Committee of the Red Cross, the Switzerland-based custodian of the Geneva Conventions, won its own Nobel Peace Prizes in 1917 and 1944, in the midst of World War I and World II, respectively. 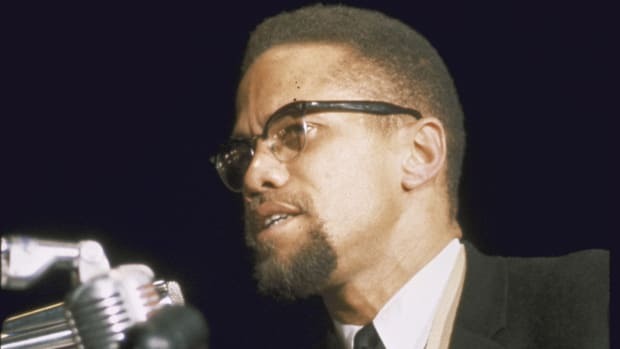 It then shared a third Nobel Peace Prize in 1963 with the League of Red Cross Societies (now the International Federation of Red Cross and Red Crescent Societies), which today overseas national associations in 187 countries. 7. Working for the Red Cross can be dangerous. Under international law, it is illegal to deliberately target humanitarian workers. Yet that has not stopped the Red Cross from often finding itself in the line of fire. In 1996, for example, masked men gunned down six Red Cross aides as they slept in a Chechen hospital compound. Similar attacks in the 1990s and early 2000s occurred in Burundi, Somalia, Congo and Bosnia, whereas this decade over 20 Red Crescent volunteers have perished in the Syrian civil war. Just this month, seven more of the organization’s workers were kidnapped in northwestern Syria after gunmen reportedly opened fire on their convoy.